Home Current	Get Ready for 2 Formes of Giratina Encounters Starting March 28th! Pokémon GO Trainers will be getting into tip top shape over the next month as they take on not 1, but 2 versions of the Legendary Giratina, when the Ghost/Dragon type returns to Tier 5 Gym Raids. From March 28th through April 2nd (4pm EST), the previously released Altered Forme of Giratina will reappear, giving new Trainers a chance to add this monster to their Pokédex and experienced Trainers the opportunity to capture one with better stats. NOTE: With this moveset, Altered Forme Giratina will be a terrific ally against Dragon types. The hardest Altered Forme Giratina to defeat will be one with the Dragon Breath fast move, most especially when paired with the charge move, Dragon Claw. 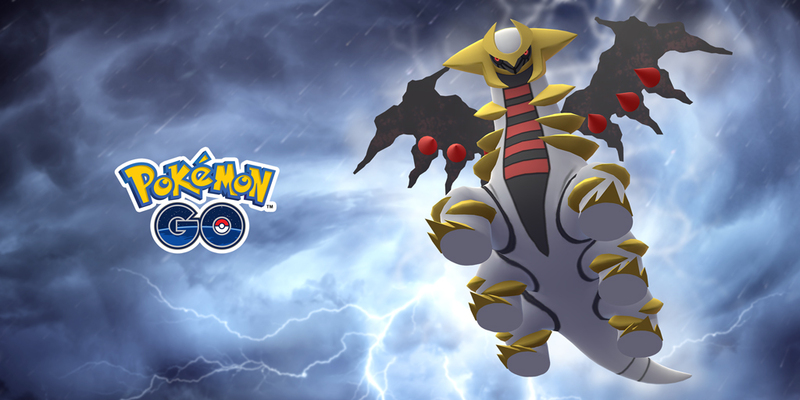 Giratina is Weather Boosted in Windy and Foggy weather. If your group consists of strong, Level 35 and higher players who possess the best counters, then 3 Trainers should be enough. If your group consists of Level 25 and higher players (who at least own a team of the 2nd best counters), then 4-5 Trainers should work. From April 2nd (4pm EST) through April 29th, a brand new, Origin Forme of Giratina will appear, which will become the #1 Ghost attacker in the game, edging out Shadow Ball Mewtwo. The hardest Origin Forme Giratina to defeat will be one with the Shadow Ball charge move. To duo Origin Forme Giratina, both players will need to have strong, Level 40 accounts, Best Friend status, and a team of maxed out (Level 35 or above) Rayquaza. If your group consists of strong, Level 35 or higher players who have the right counters, then 3-4 Trainers should work. If your group consists of Level 25 or above players, with the right counters (at a minimum 2500 Stardust), 5-6 Trainers will be required. NOTE: Not only will Origin Forme Giratina be a nice addition to your team of fighters for raids, it’ll be one of the most useful monsters in PVP battles as well.